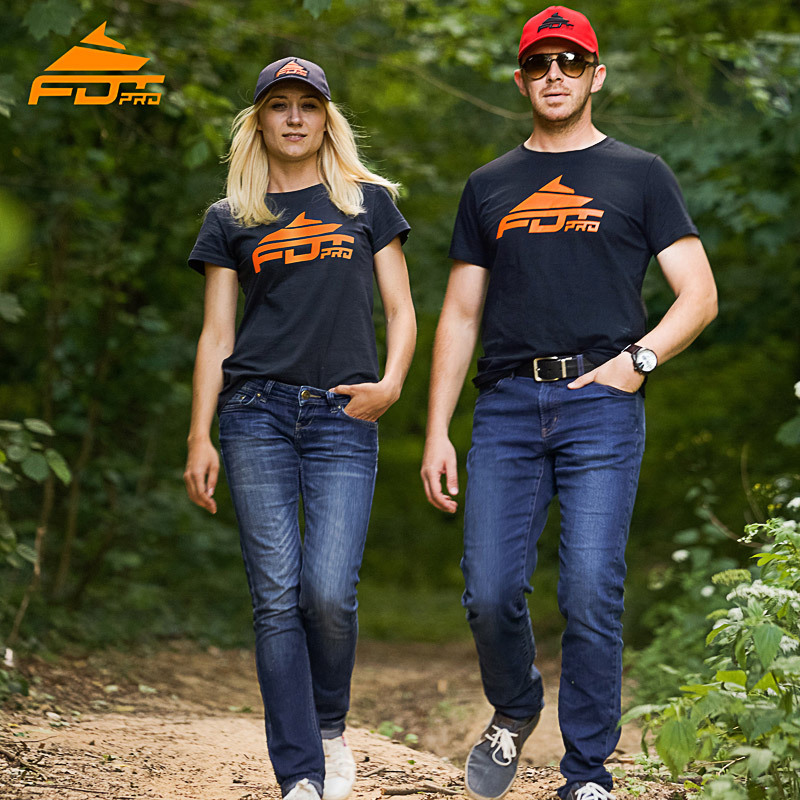 Are you fond of active lifestyle? 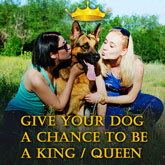 You do not skip a single training with your dog, don't you? 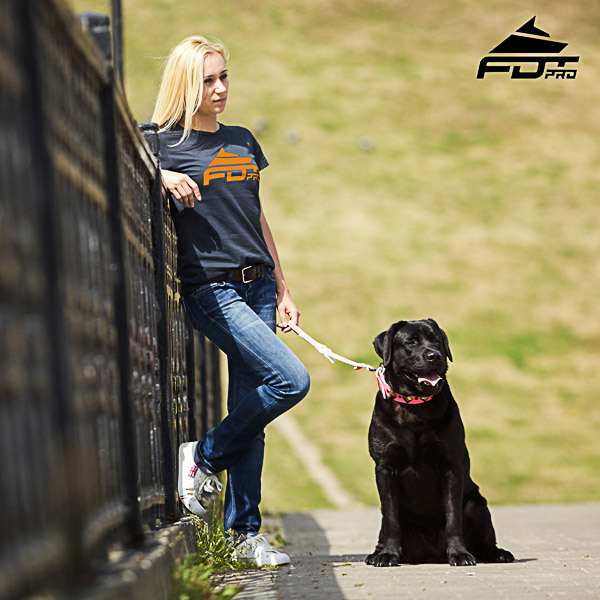 If 'yes' then you can make your everyday dog training much more comfortable and stylish wearing this brandy T-shirt. 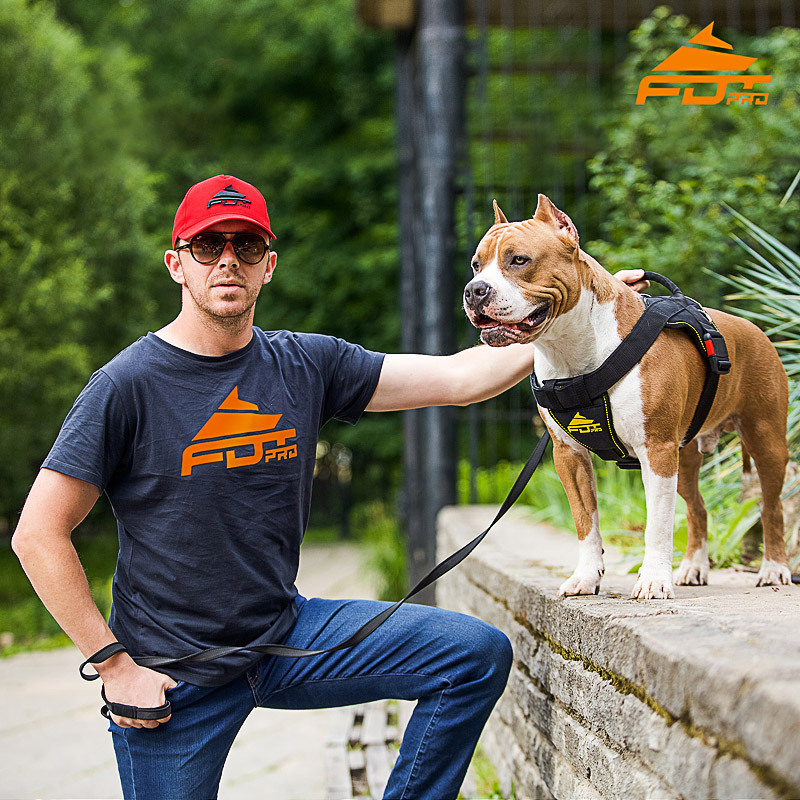 Bright logo print on dark grey background will drag attention to your sporting personality and will emphasize that you are a dog-person. 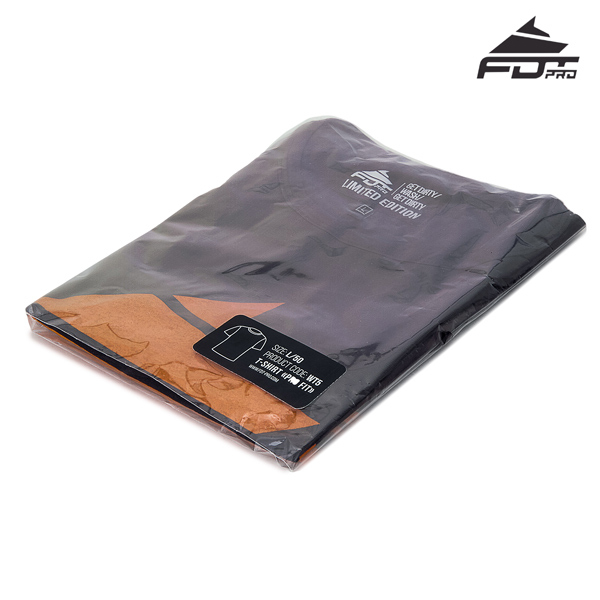 Safe 100% cotton fabric is a breathable material, very light and machine washable. 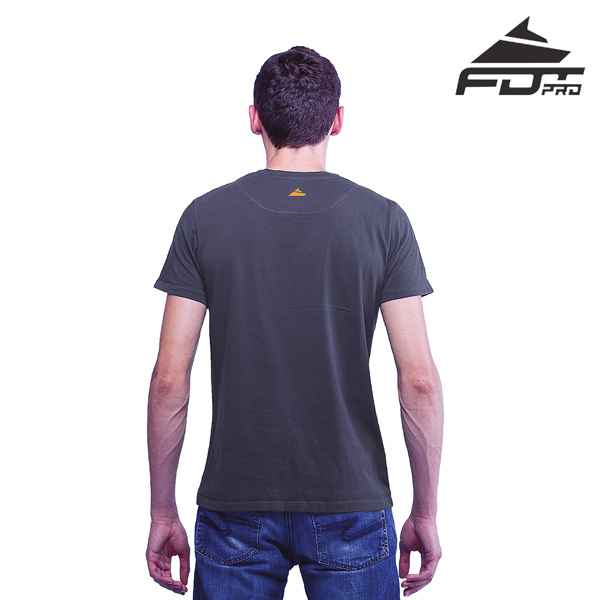 This T-shirt will look like new after many machine cycles.? 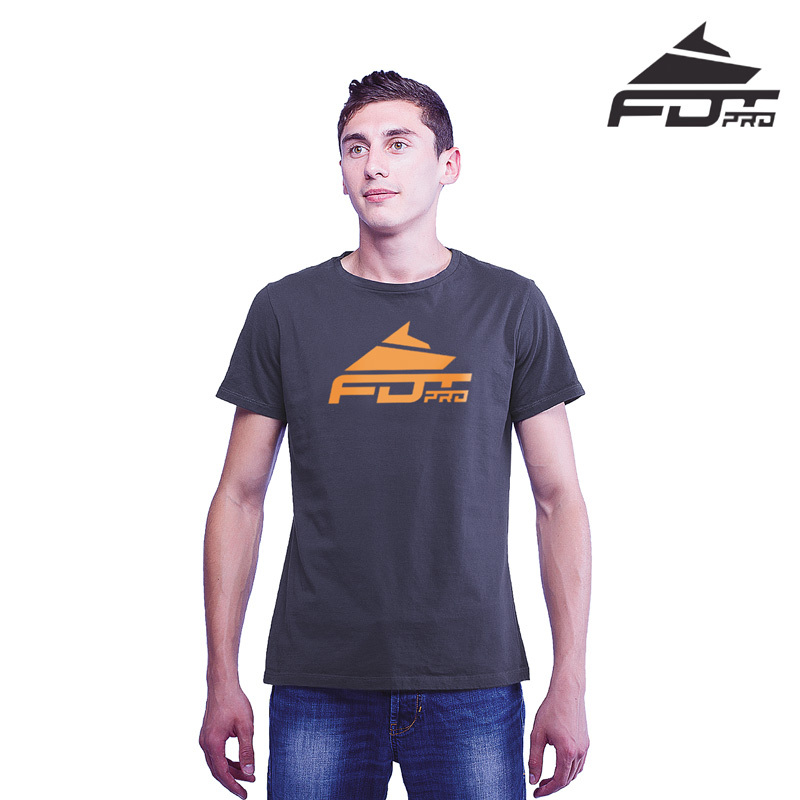 Simple design with bright logo will make your look trendy. Orange and grey are very trendy colors nowadays. Wear this T-shirt with jeans, shorts, and sports trousers. Let your daily activity on a field or in a park be full of positive moments, full of energy and comfort. 1. 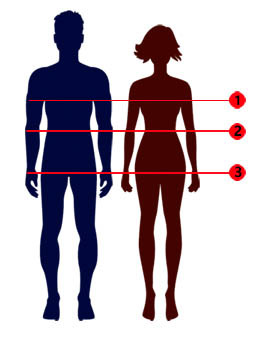 Michael’s height is 5,6 ft, chest - 44 inch, waist - 38 inch, hips - 43 inch. The sizes correspond to 42 US size. According to the table, we recommend him XLarge size. 2. Elisa’s height is 162 cm, chest - 93 cm, waist - 76 cm, hips - 107 cm. The sizes are close to 38 EU size. According to the table, we recommend her Large size.